When you study the humanities, you study what it means to be human—how God has made people unique, complex and beautiful. Throughout the humanities program at BJU you’ll learn how certain qualities, such as creativity, the desire for meaning and the need to worship, are hardwired into all people. You’ll explore how people throughout the ages have defined truth and the purpose of life, and how their ideas and actions have shaped the world into what it is today. You’ll study a wide range of subjects—English, philosophy, foreign language, history, mathematics, science, art, music, speech and others—and learn to see big-picture truths as you understand how seemingly isolated subject areas relate to one another. And more importantly, you’ll view each subject through the lens of God’s Word and learn how to make sense of the world in light of His truth. The true strength of humanities lies in its ability to prepare you for practically any field. In courses such as math and literature, you’ll learn skills you can use anywhere: how to think logically and critically, how to thoughtfully consider other people’s viewpoints, and how to make accurate predictions based on what information you have. 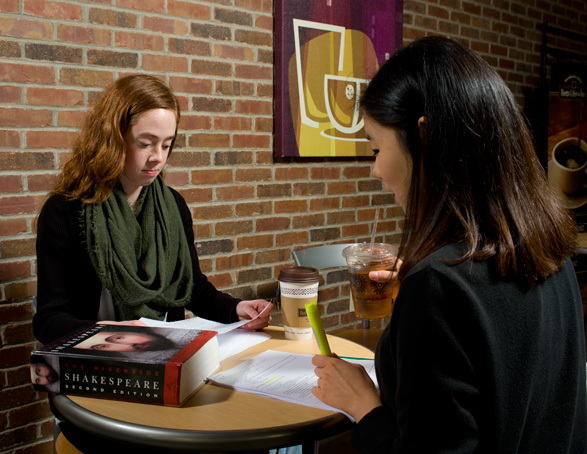 Courses in speech and psychology will equip you with skills that are essential for many jobs, such as building rapport, communicating effectively and empathizing with others. Each subject in humanities is designed to help you appreciate learning and to continue learning far beyond the college years. In addition, your language courses will expose you to different cultures and ways of thinking and will challenge your perceptions and presuppositions. You’ll learn how to be flexible and adapt to change, while at the same time staying true to the Word of God and your relationship with the Creator. And with the help of your Bible courses, you’ll learn how faith in Christ transcends every area of life and how to use your freedom in Christ to serve others and glorify God. The BJU Core is practically an extension of the humanities program and provides you with a strong, comprehensive liberal arts education. These Bible and liberal arts courses will equip you with practical skills, such as the ability to quickly learn specific job responsibilities and the ability to excel at more than one position. Each course helps you develop a fuller understanding of humanity—what people need, what motivates them, and what interests them. Courses in history, the fine arts and the sciences will help you connect with others and help you build relationships for God’s glory. You’ll grow in your understanding of the physical world and of the Creator that it reflects. Your Bible courses will connect the character of God to all of life in practical ways so you can thrive in a wide variety of contexts as you grow in grace and in the knowledge of God. The humanities program offers you a huge selection of electives so you can focus on the subjects that interest you. Some of the most common areas that complement the humanities program well are foreign language, literature, history and philosophy/psychology. Electives in any of these subjects build upon the program’s essential courses; extend your knowledge and skills in your field; and prepare you to follow Christ and serve Him in your career. The humanities major gave me direction to find out what I was most interested in academically. It opened doors for me to pursue further education. 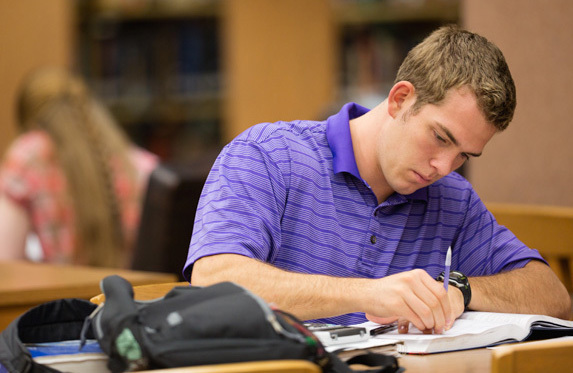 The rigor of BJU’s program helped mature me and build my endurance in life. Today I’m a buyer in the automotive industry, and I give great credit to Bob Jones University for my training in the ability to communicate, whether I’m composing a simple email or speaking directly with others. Attorney, Bart, Meyer & Company, Savannah, Ga.
Director of business development, Estes Design and Manufacturing, Indianapolis, Ind. Student ministries pastor, Catawba Springs Baptist Church, Apex, N.C. Client services manager, Showcase Marketing, Greenville, S.C.
BJU offers students a variety of ways to network with employers and organizations. A multitude of job opportunities are posted each year on Career Central, our online job board. In addition, more than 60 businesses and 150 Christian schools/mission boards/Christian organizations come on campus to recruit students through on-campus interviews and job/ministry fairs. Career Services also helps students by holding seminars on resume preparation and interview techniques. No matter what you want to do with your program, there are organizations that can help you prepare for your career. Be sure to check out the available student organizations and get involved wherever you can. These organizations help you meet people, learn more about various fields, and give you valuable experience in a wide variety of contexts. You may find that some of the organizations you choose help you figure out what to focus your program on, or they help you figure out what not to focus on—either way, when you get involved in organizations, you’ll grow as a person. The University Language Association is a student-run organization that brings in speakers from various countries and occupations to give you opportunities to see the connections between foreign languages and future careers. You’ll learn how language can be a powerful tool in many ways, such as conducting business, caring for people and sharing the Gospel. Not only do you get to study great works of literature in your courses, but you also get to experience many in action. Through our Concert, Opera & Drama Series and numerous student plays each year, you’ll watch characters from famous works—like Pride and Prejudice, Great Expectations and Romeo and Juliet—come to life on stage. There are also many acting roles open to students, including understudy positions for the lead roles, so you can even experience these works of literature for yourself. Whether you are able to be involved in a production or just enjoy the performances from the audience, you’ll learn how various media bring out different qualities in stories, including the strengths and weaknesses of the written word. Which faculty you’ll have depends on which courses you choose to take. That means that you’ll learn under faculty who are experts in their subjects, have many years of experience and teach in their areas of expertise. Many of them have presented academic papers at conferences and published articles and books in their field. Analyze and evaluate a broad spectrum of ideas. Articulate a biblical response to a variety of academic and societal issues.